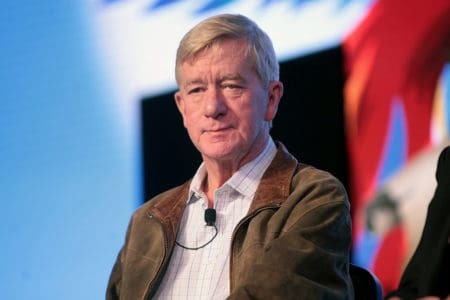 The former governor of Massachusetts, William Weld has registered as a Republican amid speculation he may challenge Donald Trump for the Republican 2020 nomination. William Weld was a Republican when he served as the governor of Massachusetts from 1991 to 1997. However, Weld changed his party affiliation and ran for Vice-President on Gary Johnson’s ticket in 2016 as a Libertarian candidate, The Associated Press reports. Weld has remained aloof as to whether or not the decision to re-register as a Republican would lead to him challenging Trump in a Republican presidential primary. He did not return messages from the Associated Press for comment, but recently told journalists in New Hampshire that he would discuss political plans when he returns to the state for a visit on February 15. The move comes the day after the Trump campaign launched a state-by-state effort to neutralize challenges for the 2020 nomination. The Trump campaign has embarked on a nationwide effort to influence party operations at a state level, the Associated Press reported. By using a combination of concentrated political endorsements, lobbying efforts and calculated changes to state rules, the President is trying to ensure that only Trump loyalists make it to the Republican nominating convention in 2020. Given Bill Weld previously called Trump “totally unfit to be president of the United States” and lent his backing to Hillary Clinton in the 2016 campaign, he will likely be someone the Trump campaign will be watching closely and awaiting his next move.